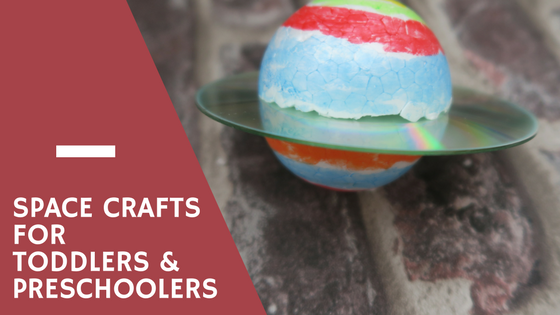 Space Crafts For Preschoolers and Toddlers.. This year I am a Bostik Blogger and we are sent a box of craft items each month along with a theme. 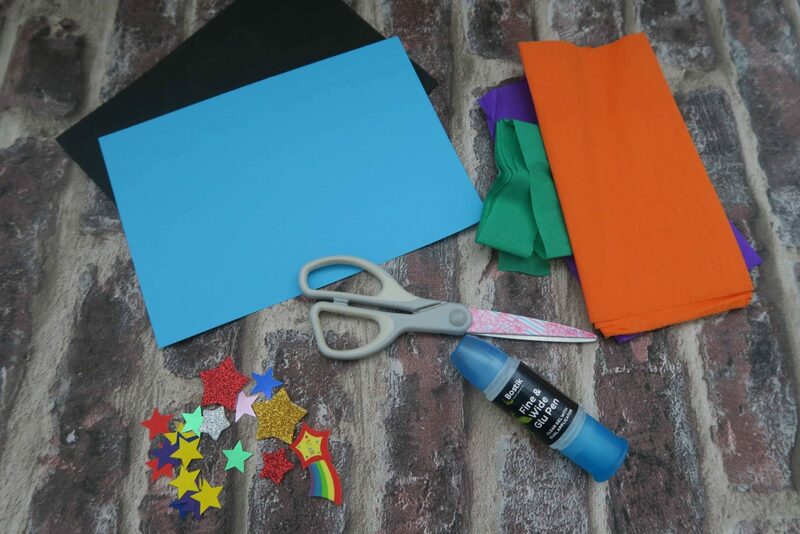 This month the theme is space and earlier this week I shared with you how to make a name rocket. 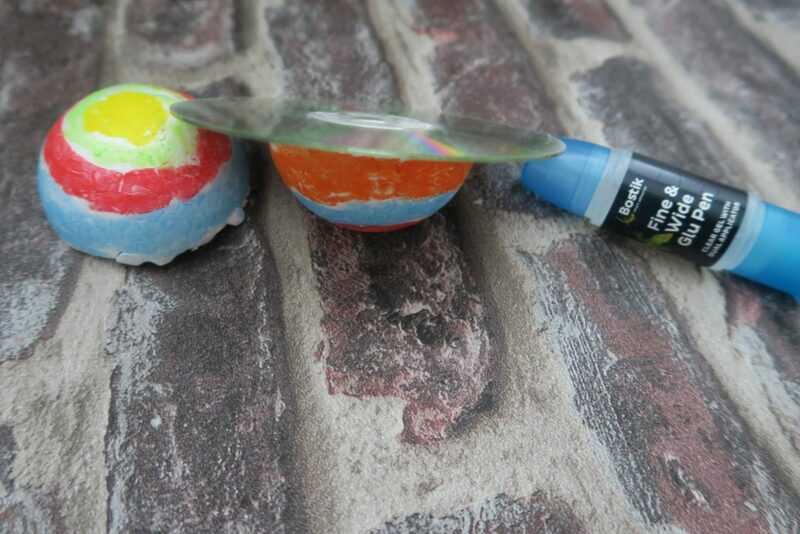 Today I will be sharing two more space crafts that you can do with preschoolers and toddlers. 1. Cut the styrofoam in half with the scissors. 2. 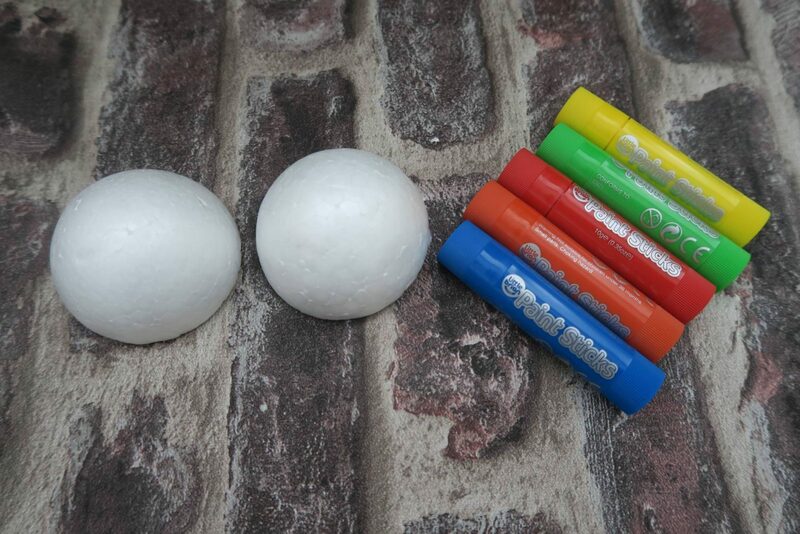 Paint the styrofoam with the paint sticks. 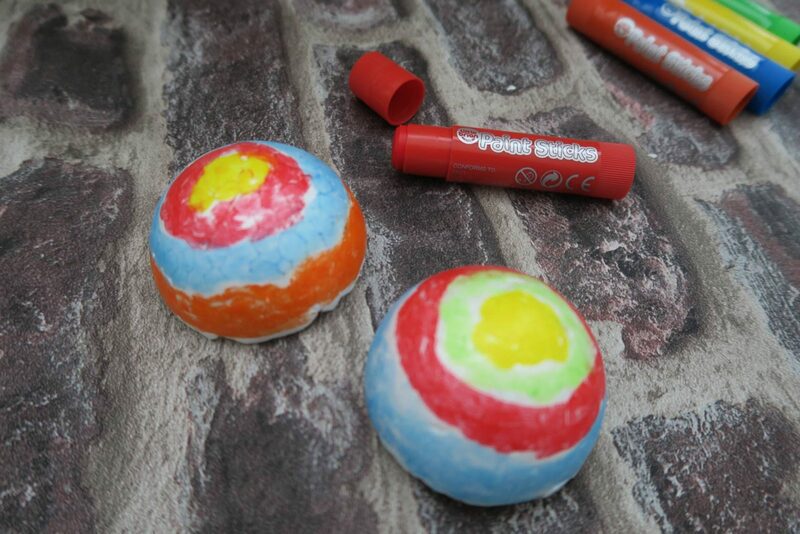 You can use other paint, I just find these really easy to use and practically mess free. Let the paint dry. If you use paint sticks, it drys really quickly. 3. 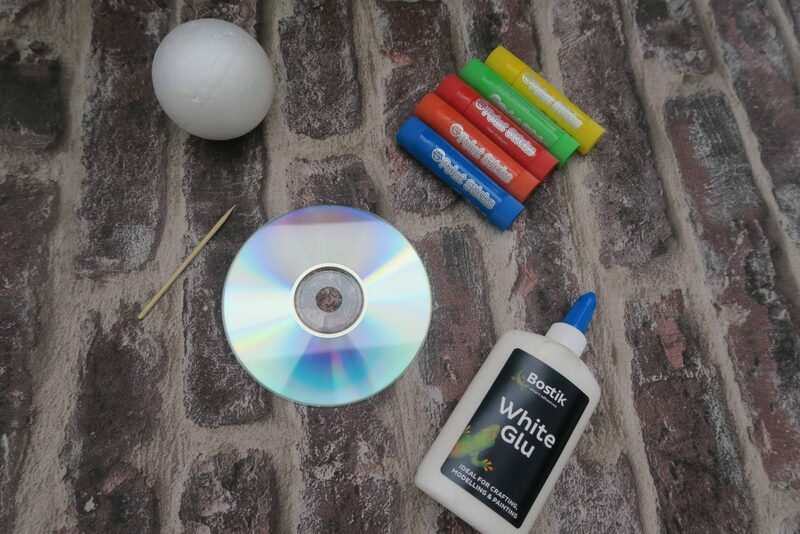 Next take the CD and using the Bostik Glu, stick it to one half of the styrofoam. 4. 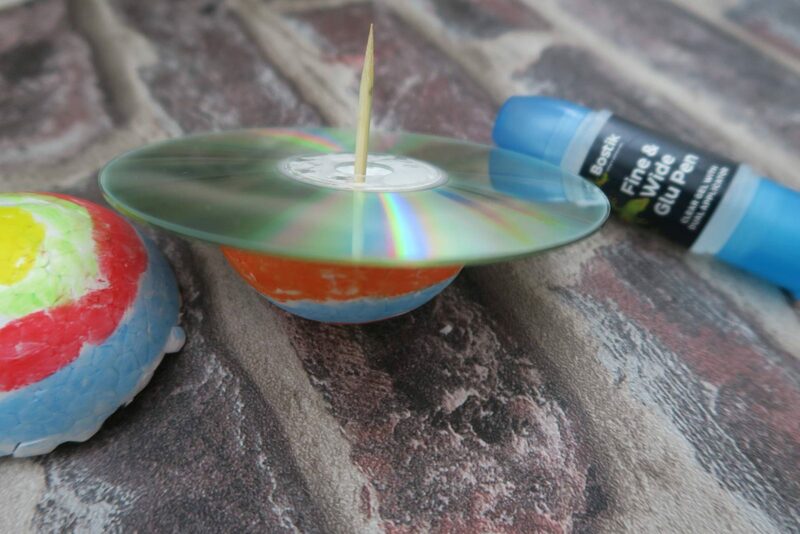 Take the toothpick and stick in the middle of the CD. 5. 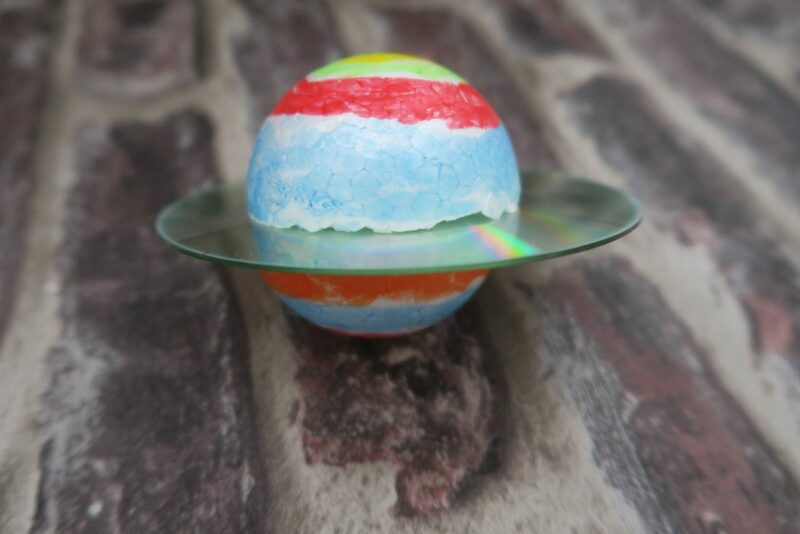 Push the other half of the foam on top and there you have it your finished planet! 1. 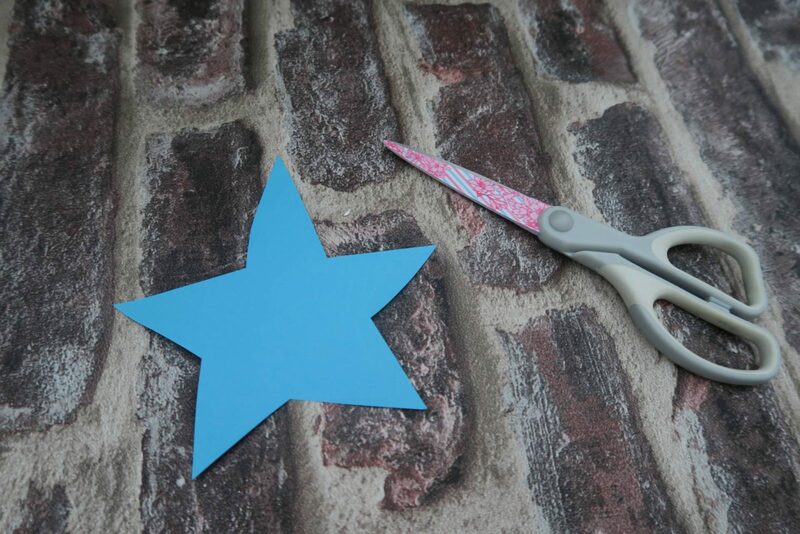 Cut a star from your coloured paper, I did this freehand. 2. Decorate your star. 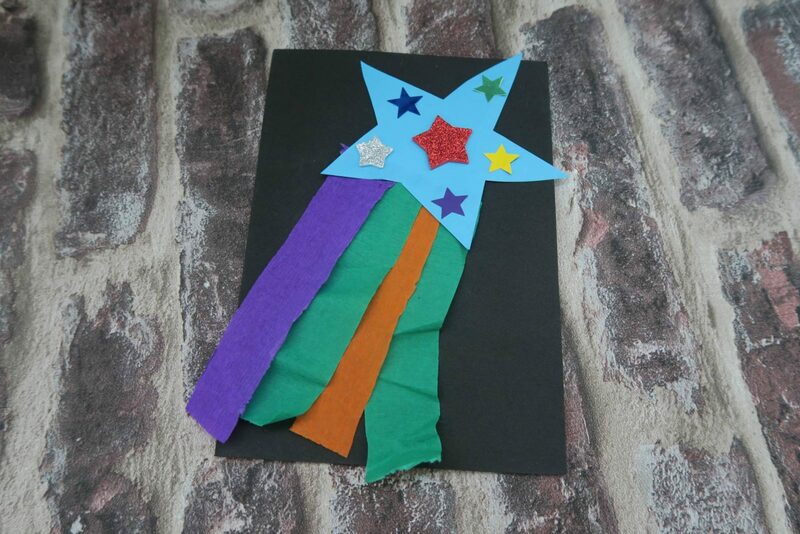 We used sticks and stars, which we stuck on with the Bostik Fine and Wide Glu Pen. 3. 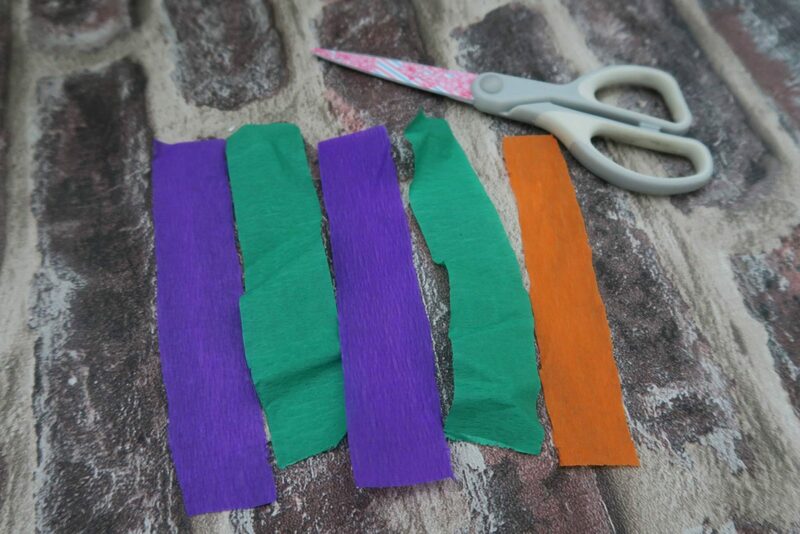 Next take the tissue paper and cut into strips. 4. 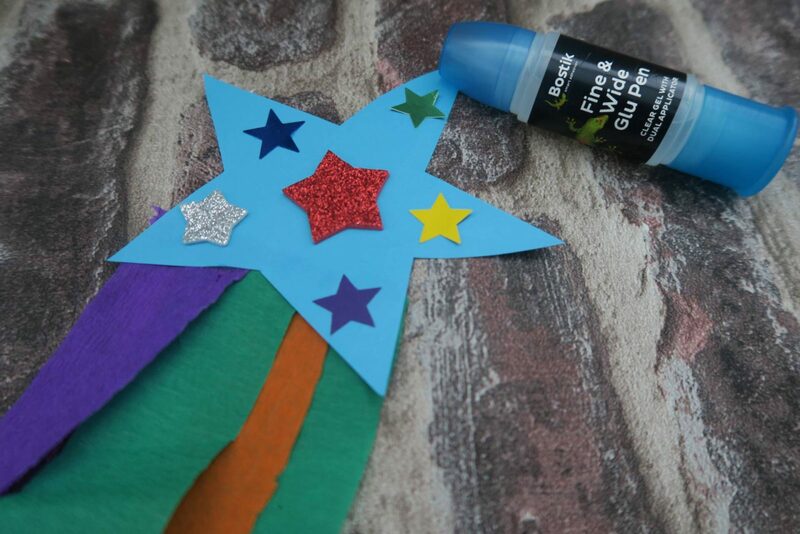 Stick the tissue paper to the base of the star using the Bostik Fine & Wide Glu Pen. Disclosure: I am a Bostik blogger for 2017 and these items were sent to me for the purpose of this blog post and I was compensated for my time. Previous Post: « Will We Survive Our First Family Camping Trip? Oh, I do like this craft- looks like even I could do this.